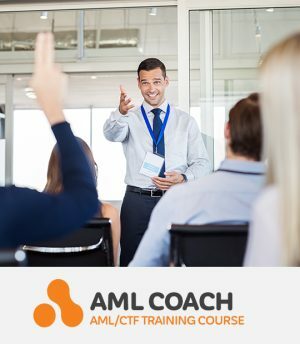 AML Coach is comprehensive training for AML/CTF Compliance Officers and other AML/CTF professionals. The one-day course delivers a detailed understanding of the obligations your business has under the AML/CTF regime, and provides tools to achieve and maintain AML/CTF compliance. Simply book your place on a course and be educated by our experts on what AML/CTF compliance really means for your business. Choose a convenient course and book your place. We’ll send you the pre-reading to prepare for your AML Coach workshop. With AML/CTF training from our industry leading experts you will fully understand AML/CTF and what it means for your business. A cost-effective way to receive expert training. Understand if you are achieving AML/CTF compliance. Understand how best to achieve AML/CTF compliance for your business. Receive knowledge and tools to ensure your business is AML/CTF compliant. Be trained by AML/CTF experts in a workshop environment that promotes open discussion.